I’ve just bought a copy of “Hardware – the definitive SF works of Chris Foss” – an ideal read on a wet and stormy afternoon. A massive piece of work of 240 pages, it lovingly pictures the incredible visions of this remarkable artist. 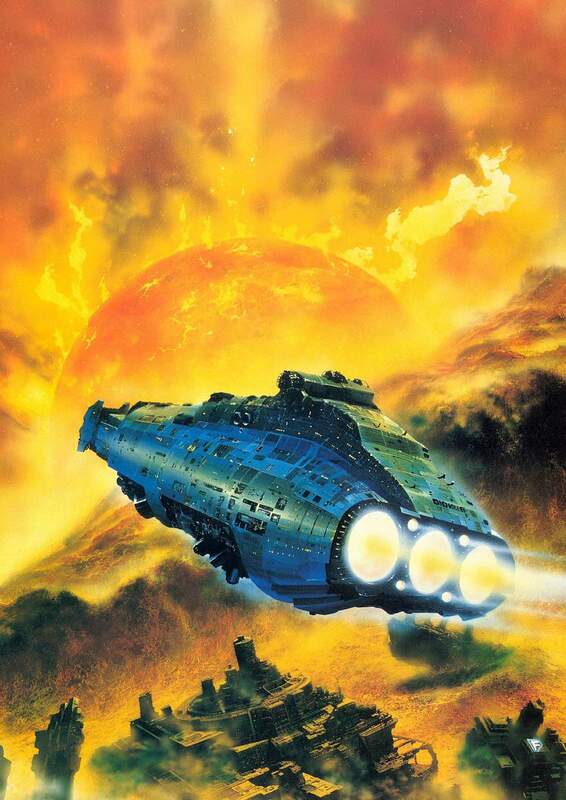 Often imitated but never bettered, Chris’ output of vast spaceships, alien landscapes and galactic skies marched across the covers of my favourite SF novels for a whole generation. For people of my age his work defined the entire genre of space opera. While Foss was notorious for producing covers for books he had never read, it is difficult to imagine a better pairing than Foss and E E “Doc” Smith of Lensman and Skylark fame. Strange for a man who became best known for painting visions of the future! But very much a space-punk future, far removed from the sleek cigar-tube ships envisaged by his predecessors. One full of nuts and bolts, girders and beams. So, there you find yet another seminal mind influenced as a child by his love for Meccano. No Meccano, perhaps no Foss space ships, maybe no Star Wars as we know it! But for now, back to my new book…..
ISBN9781848566989, Titan Books, £24.99, US$34.95. This entry was posted in Uncategorized and tagged A E Van Vogt, Chris Foss, Doc Smith, Lensman, Meccano, Skylark, Spaceship, Star Destroyer, Star Wars. Bookmark the permalink.